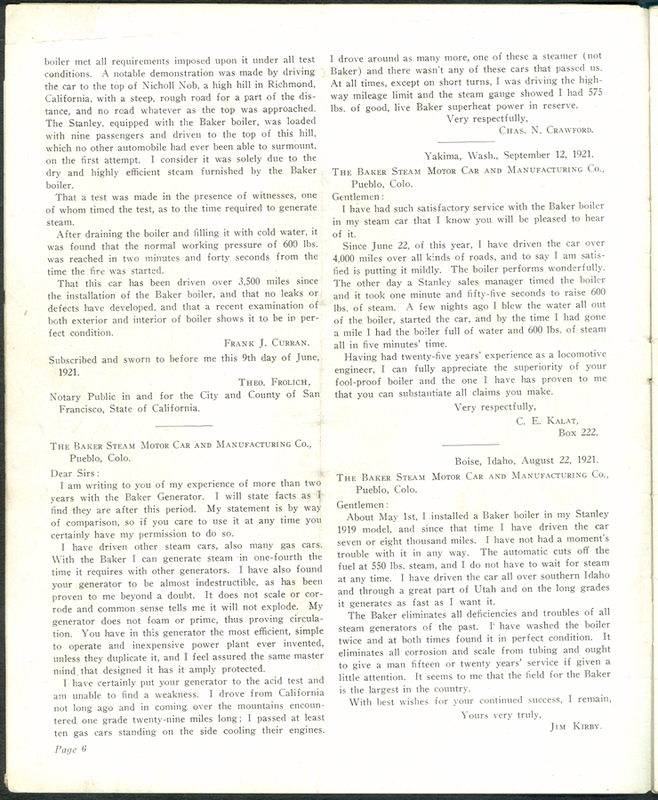 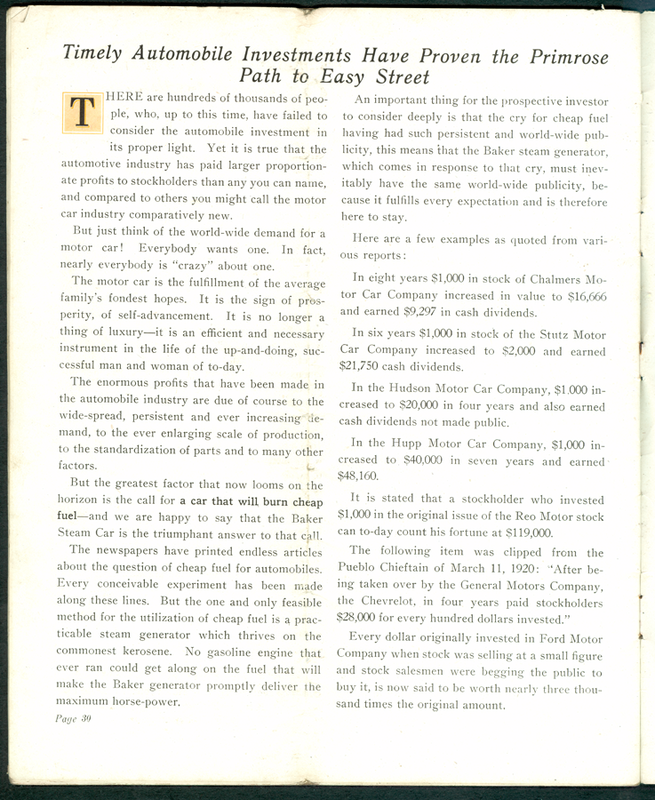 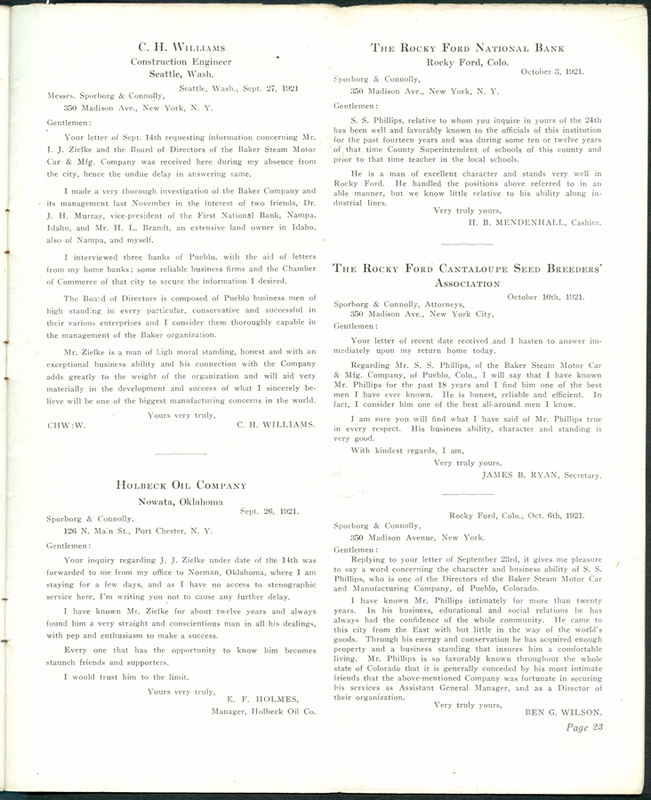 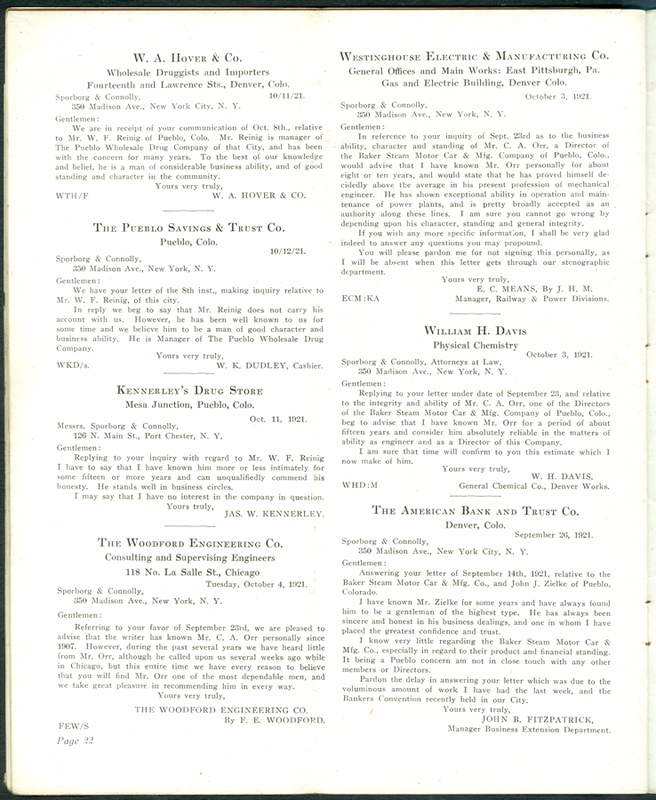 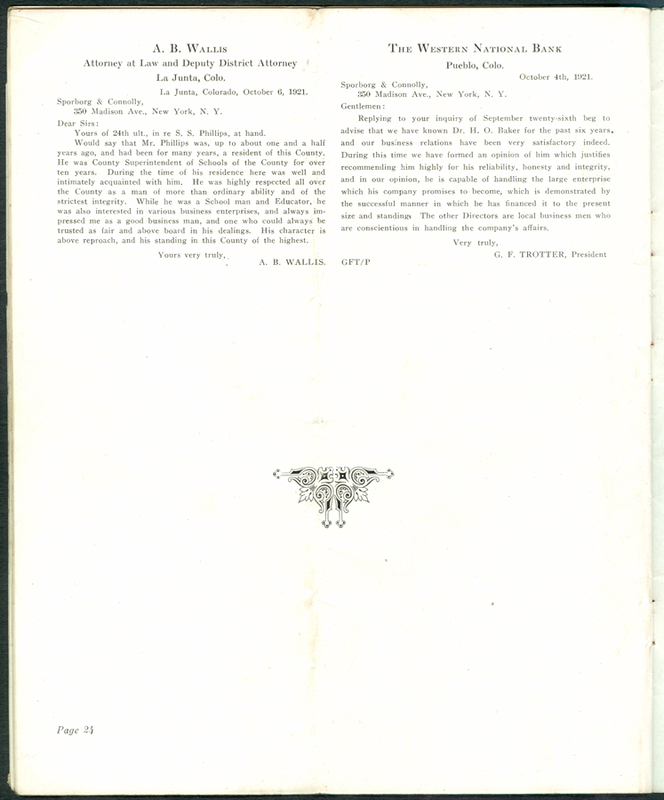 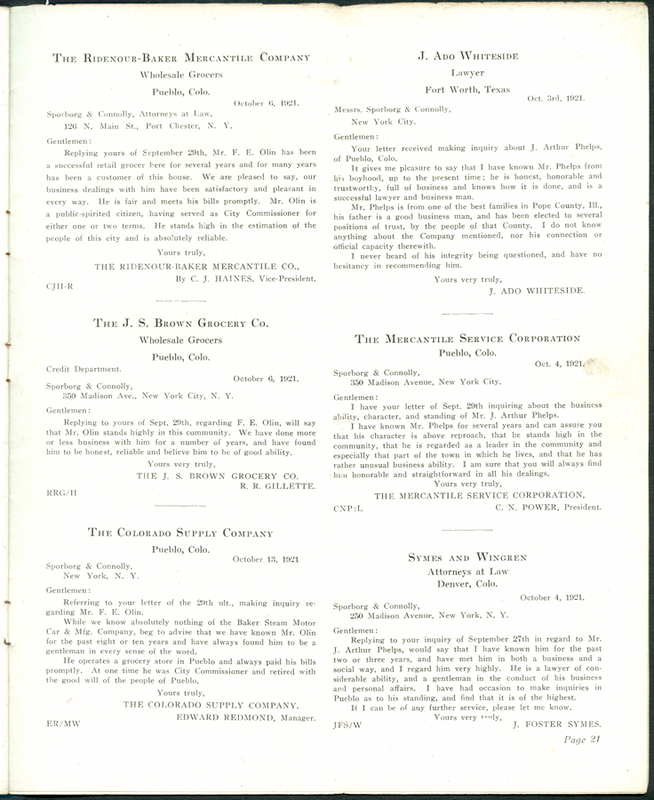 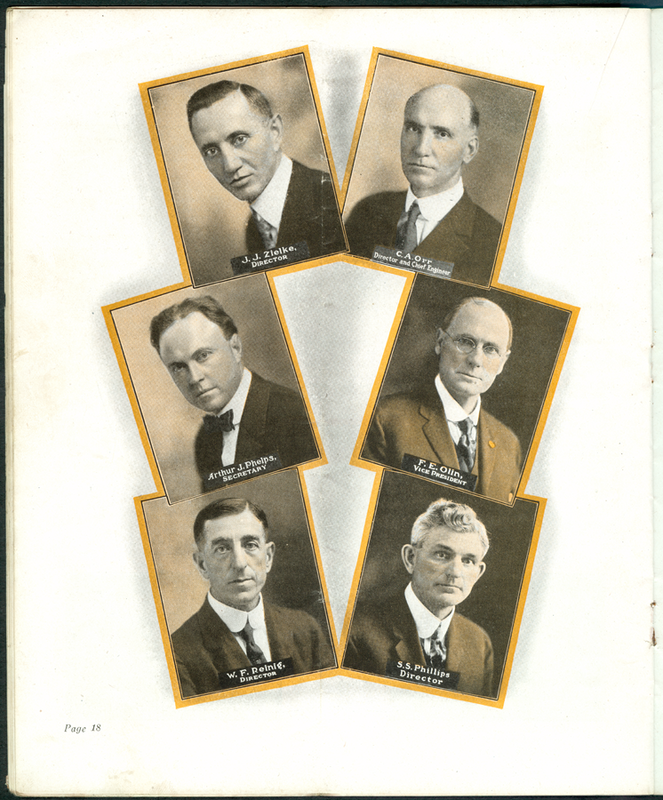 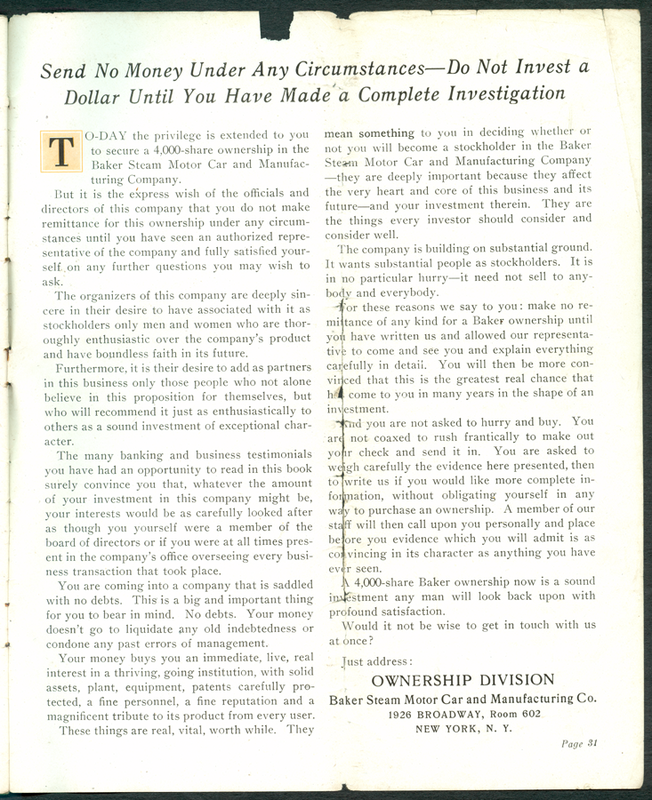 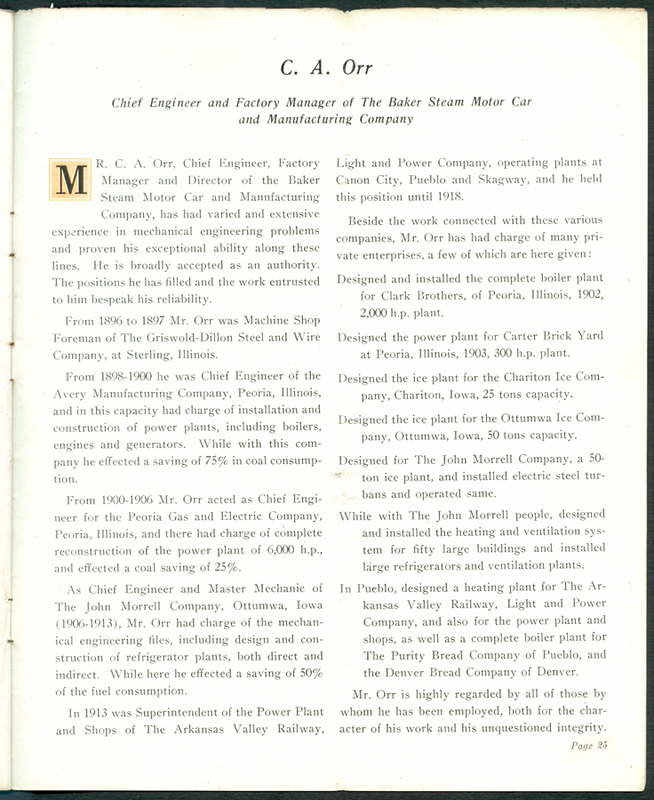 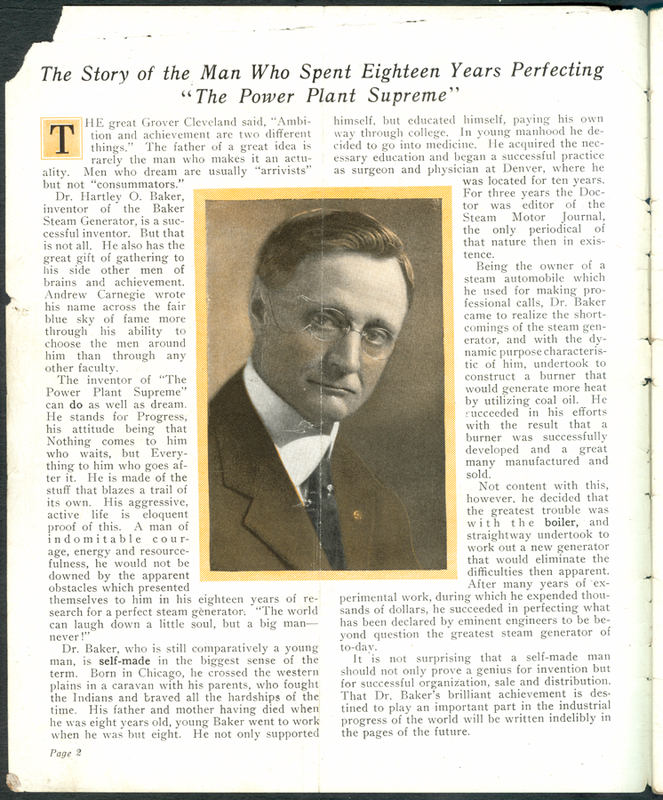 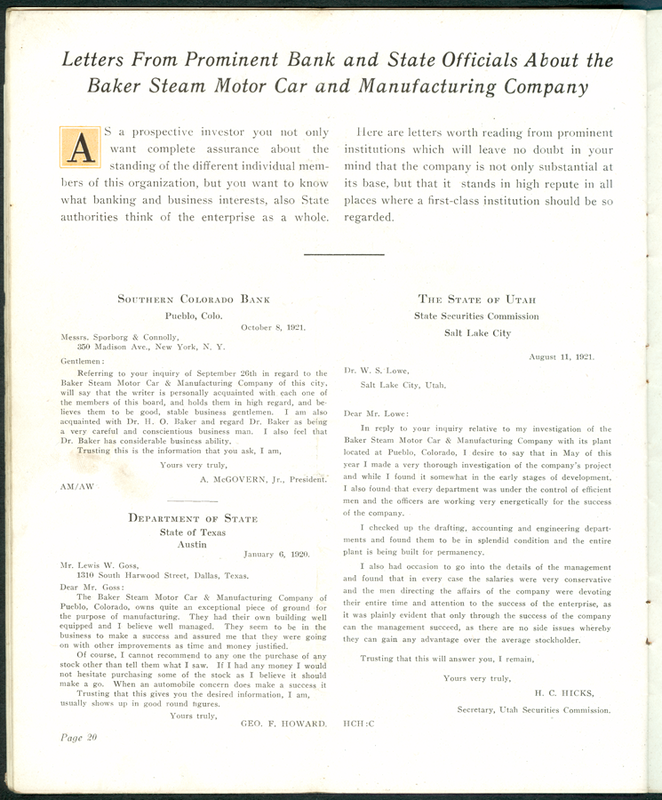 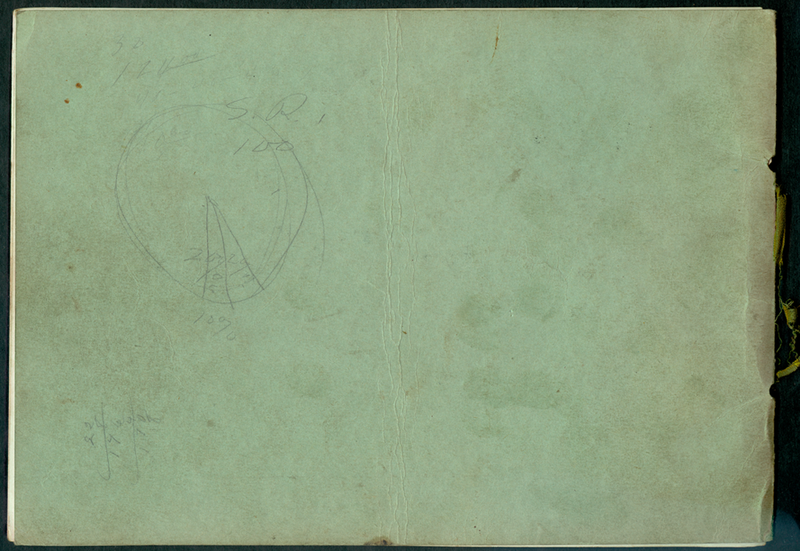 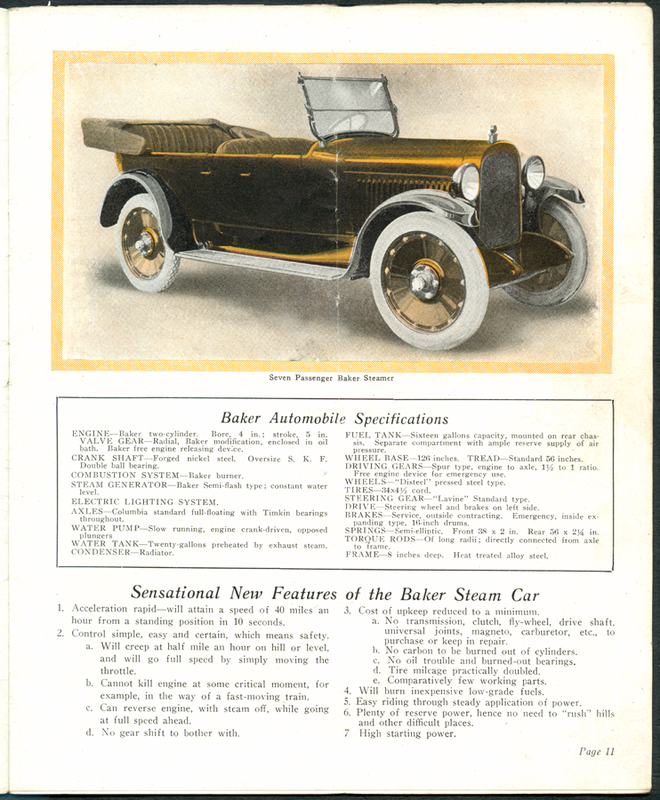 H. H. Stewart collected information on many other steam car companies. 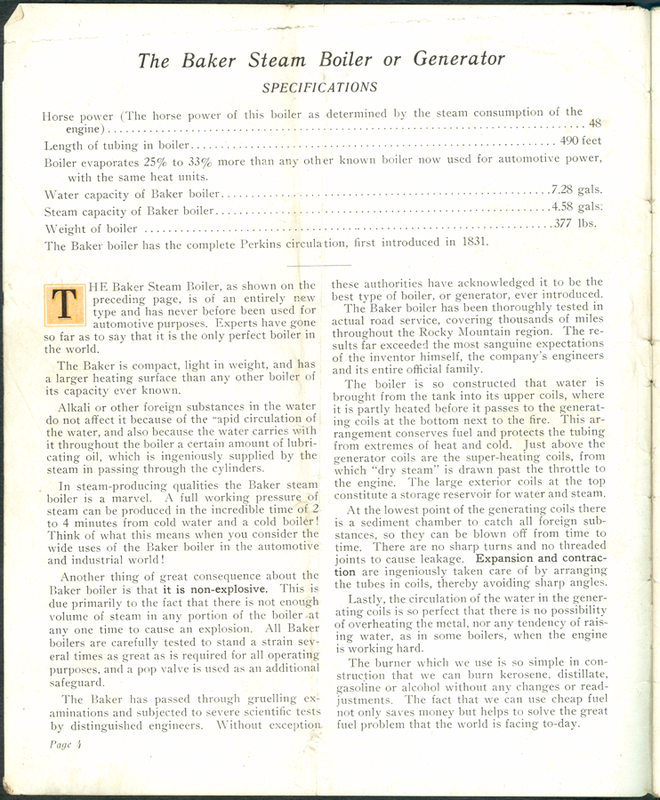 Some of this material survives. 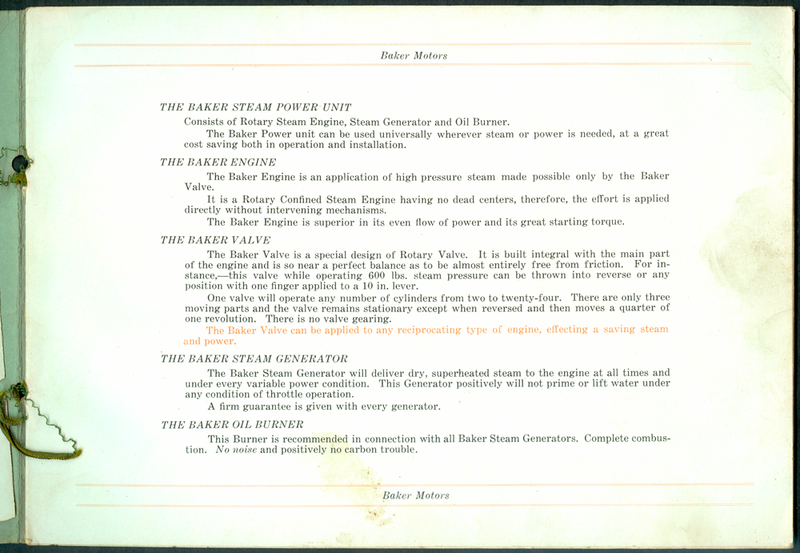 This is the Baker material. 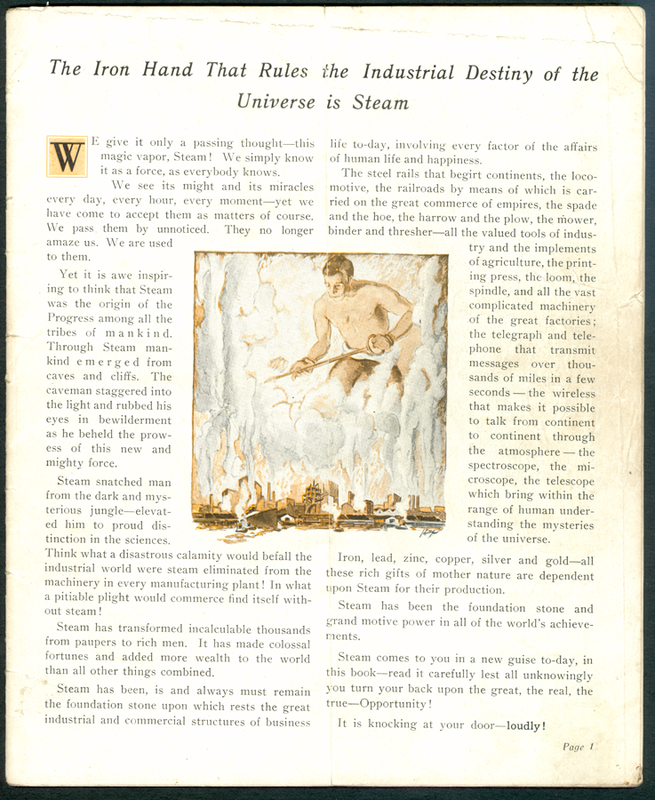 This 1921 brochure entitled The Iron Hand That Rules the Industrial Destiny of the Universe is Steam describes the company in great detail. 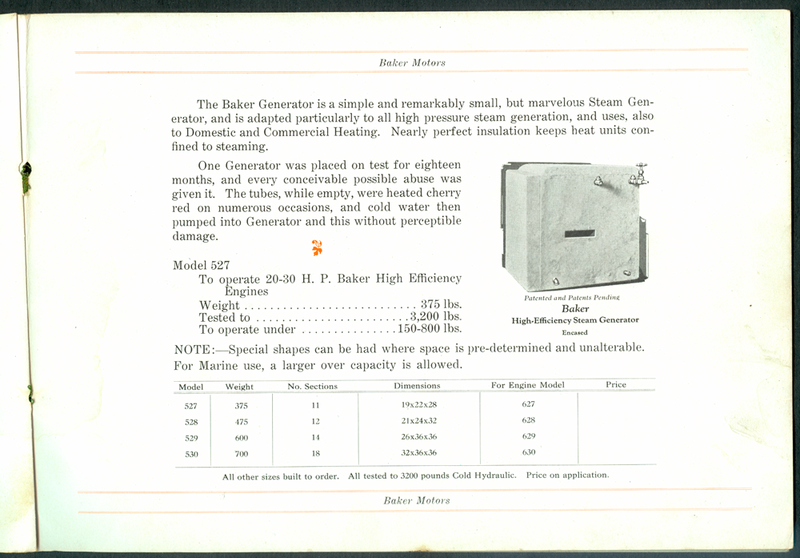 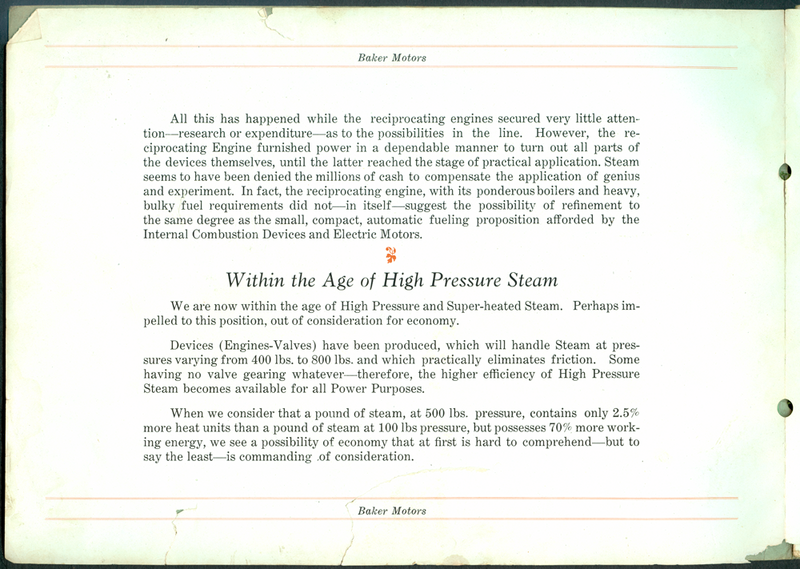 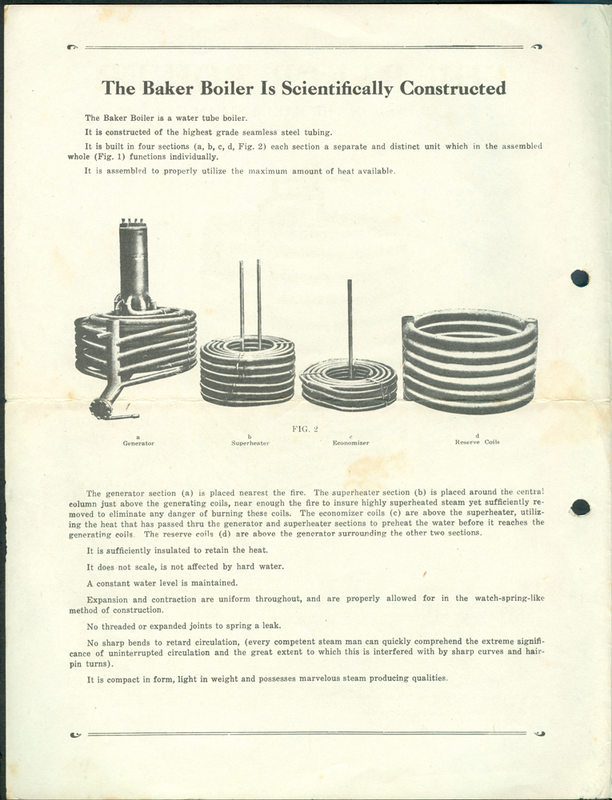 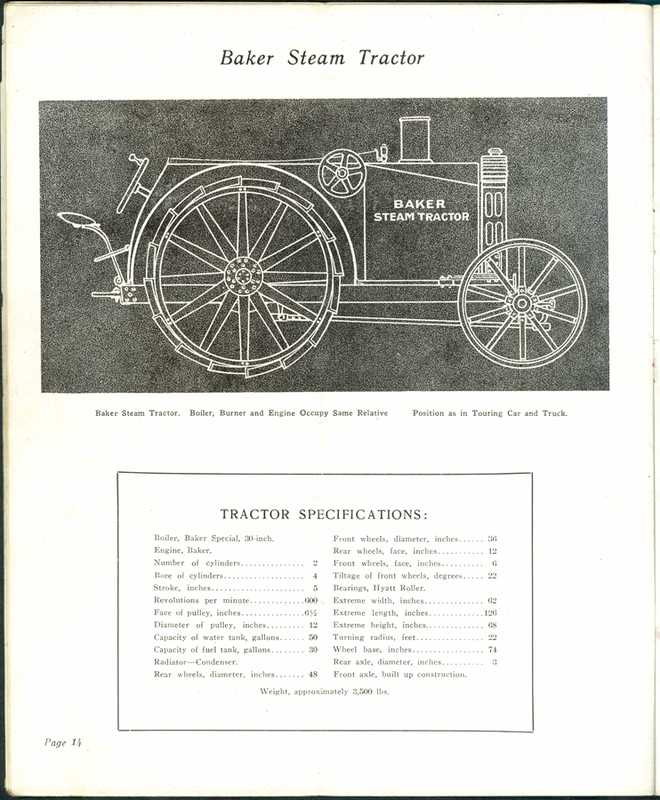 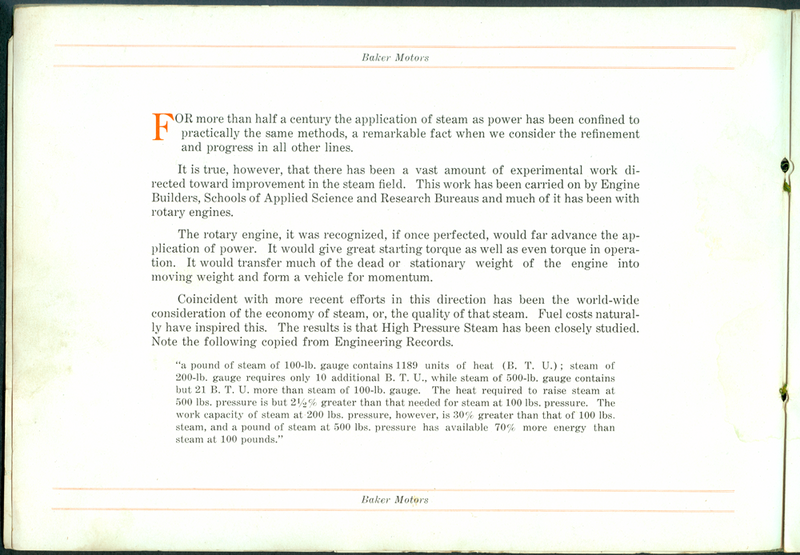 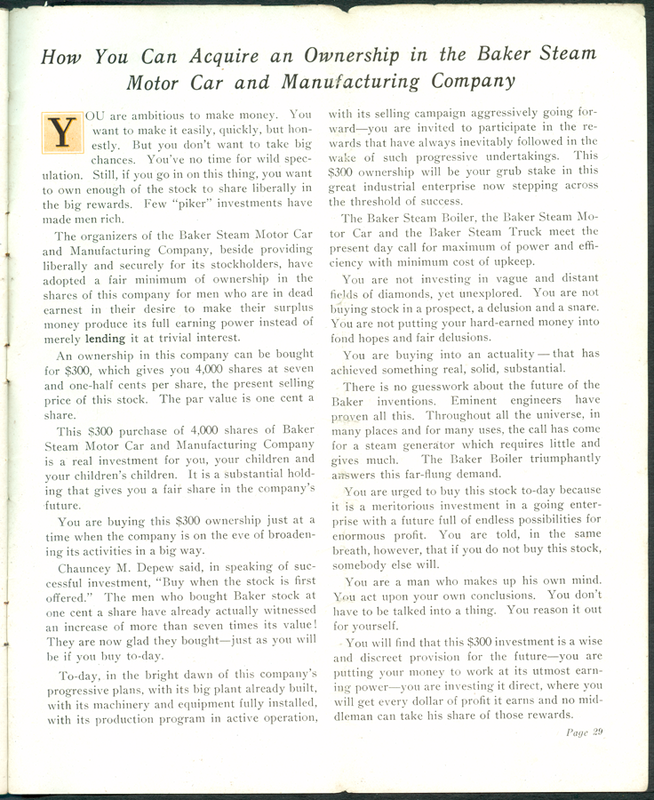 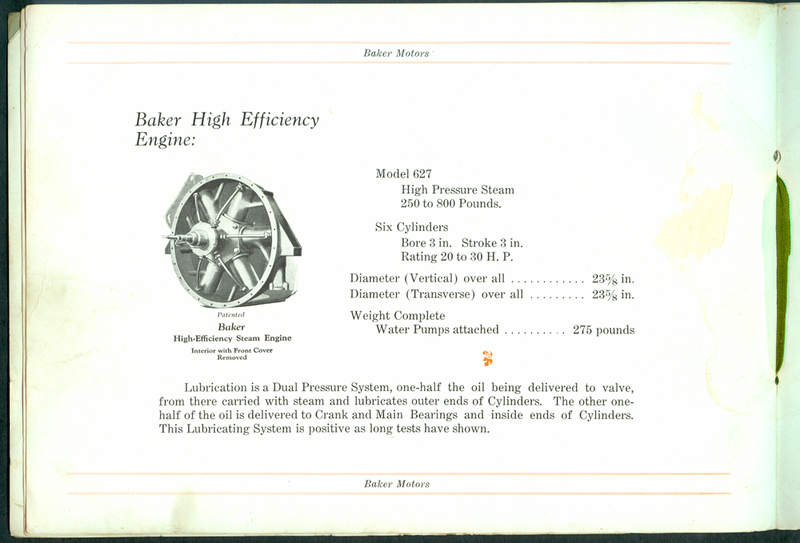 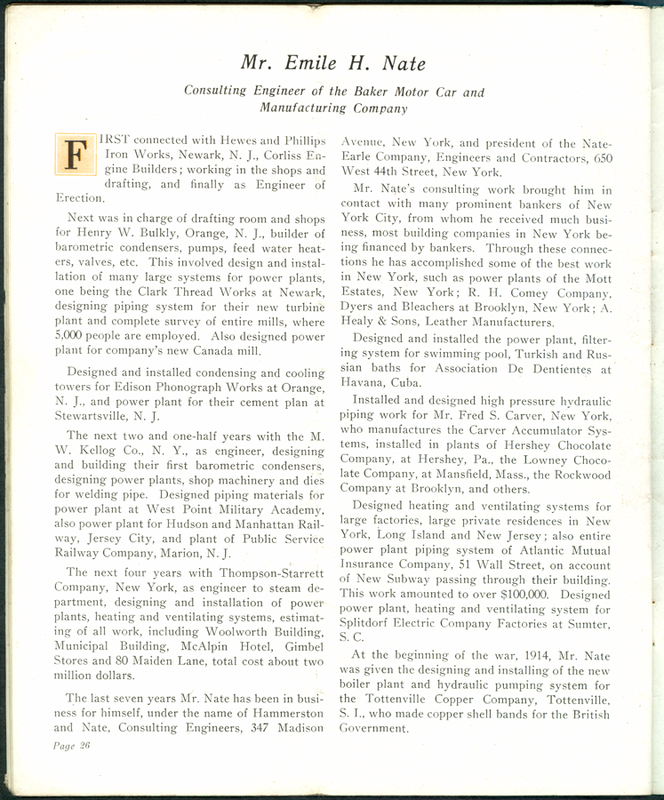 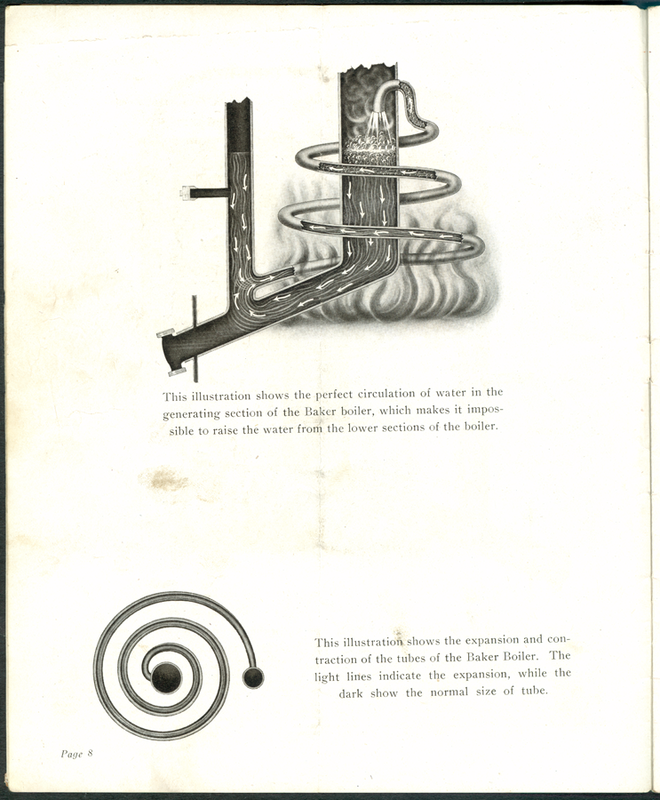 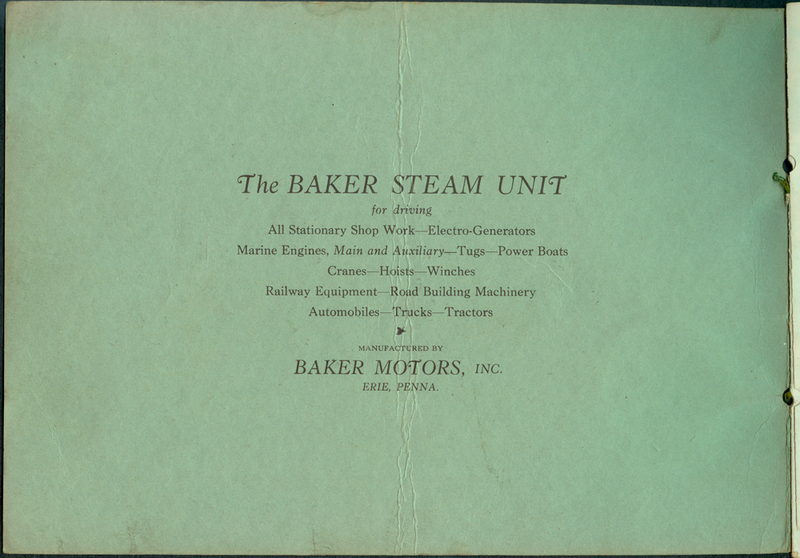 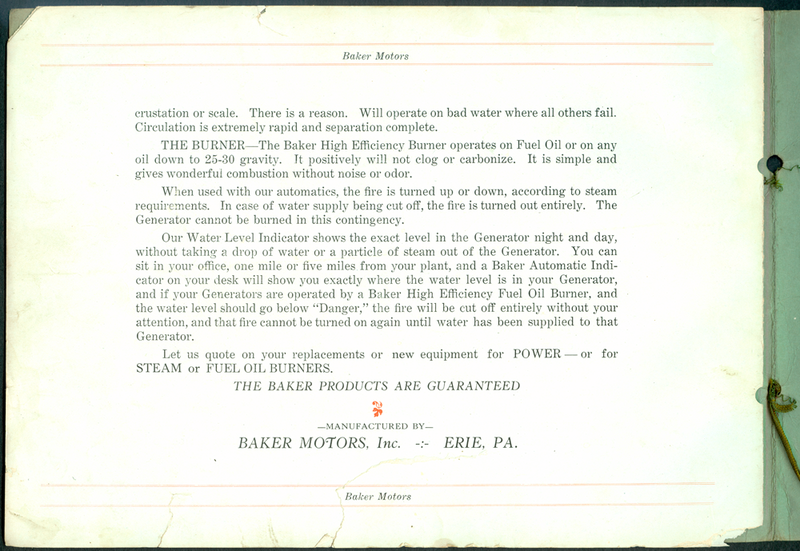 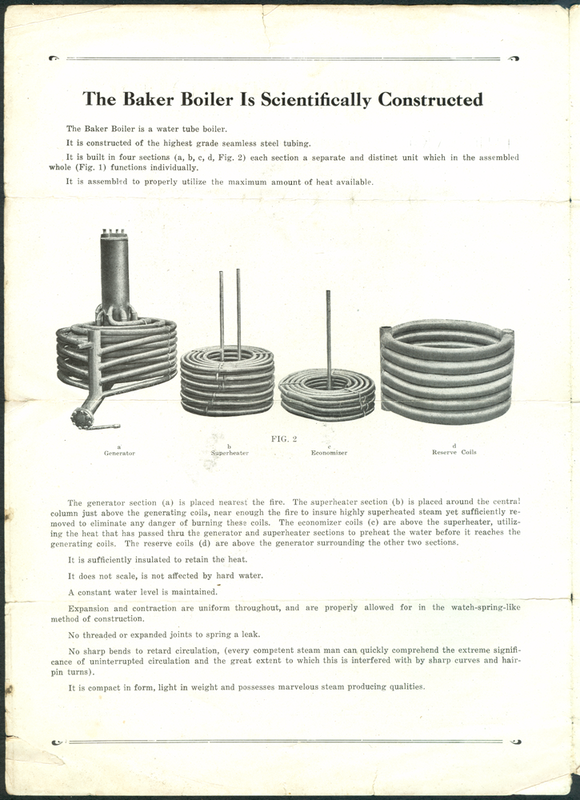 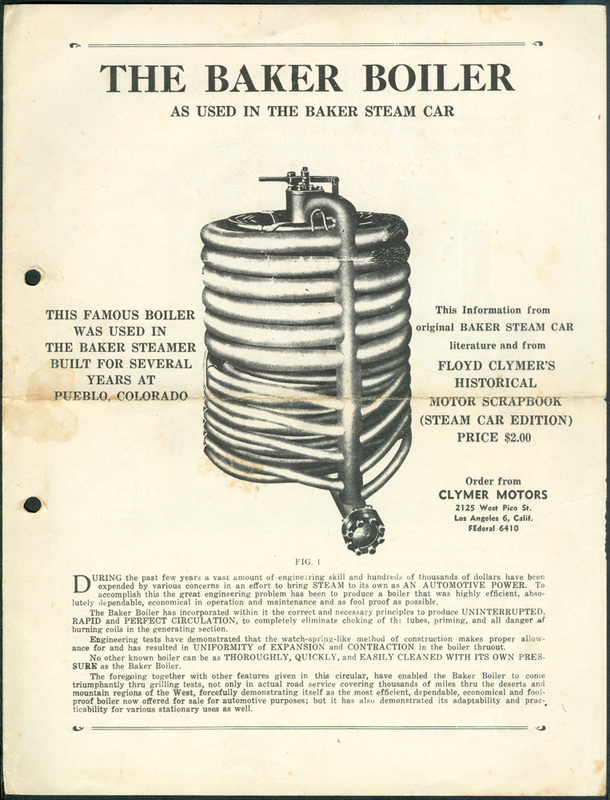 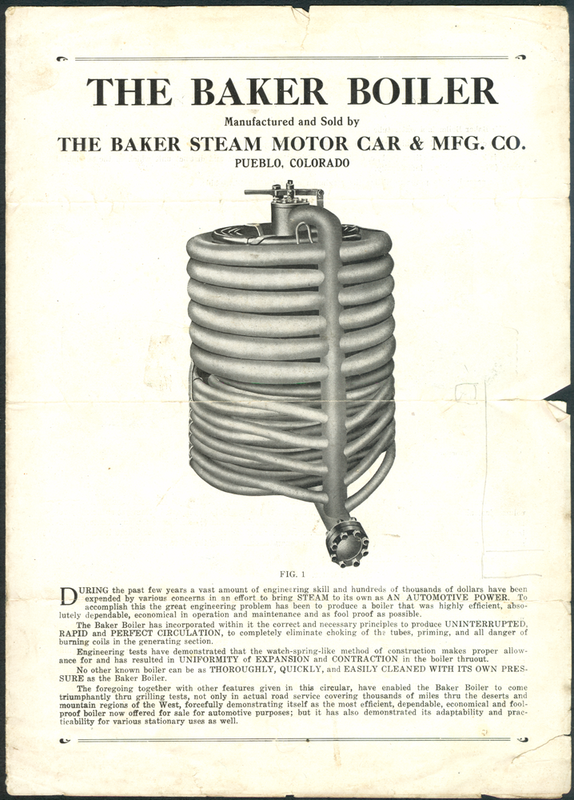 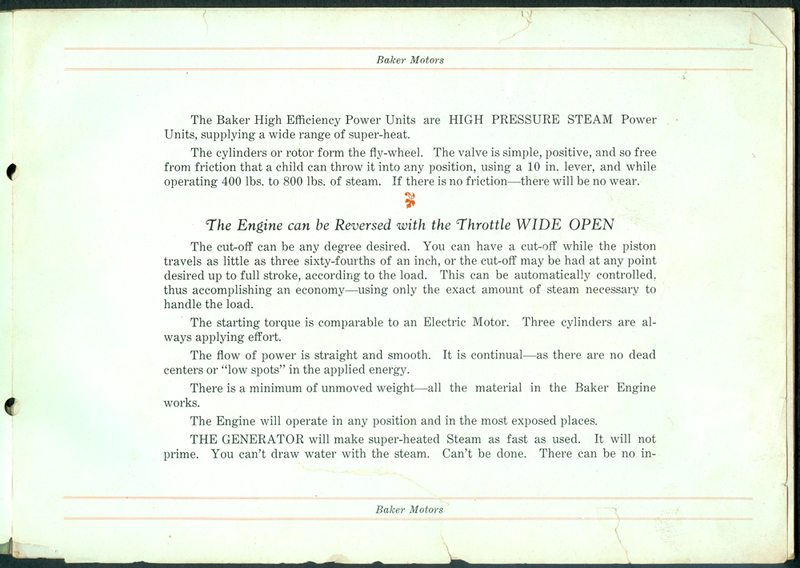 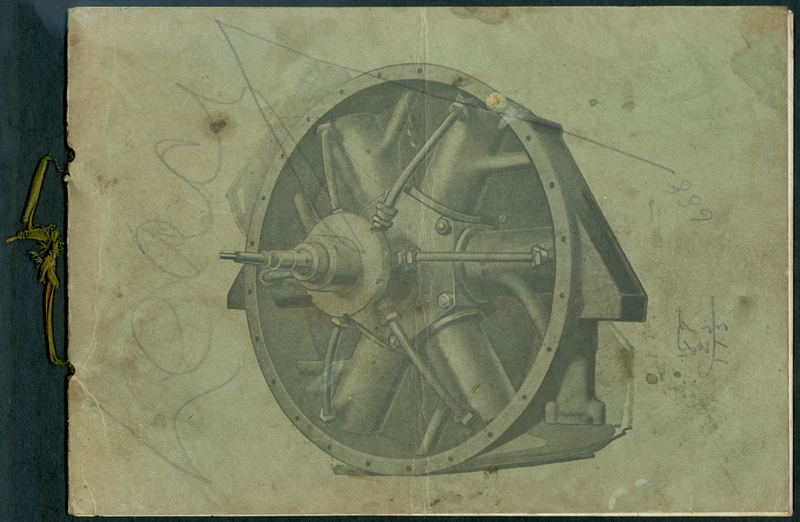 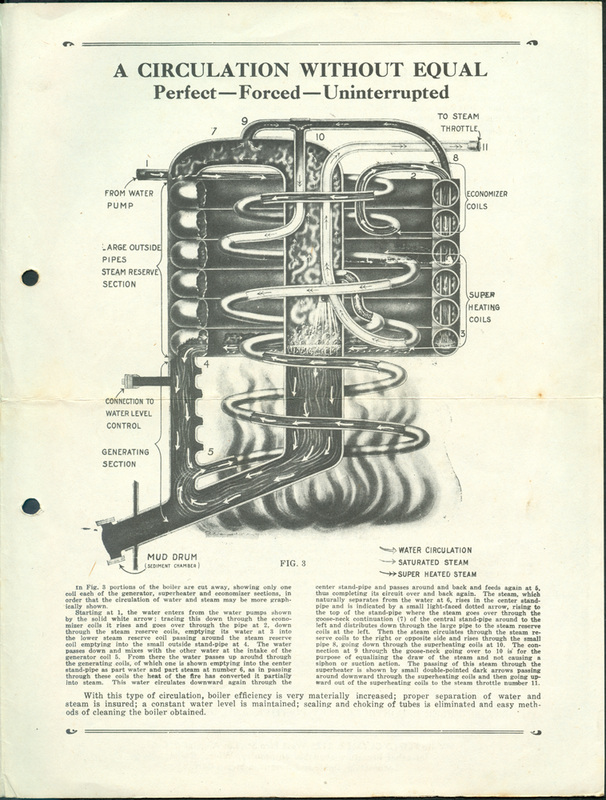 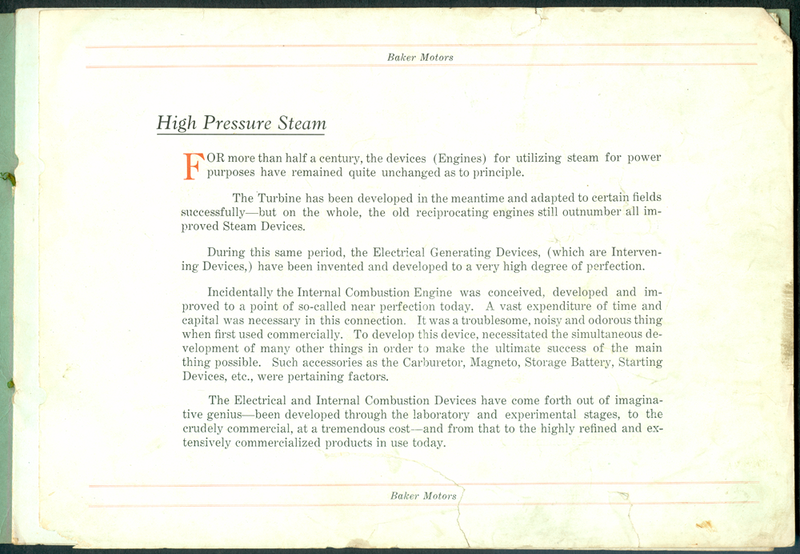 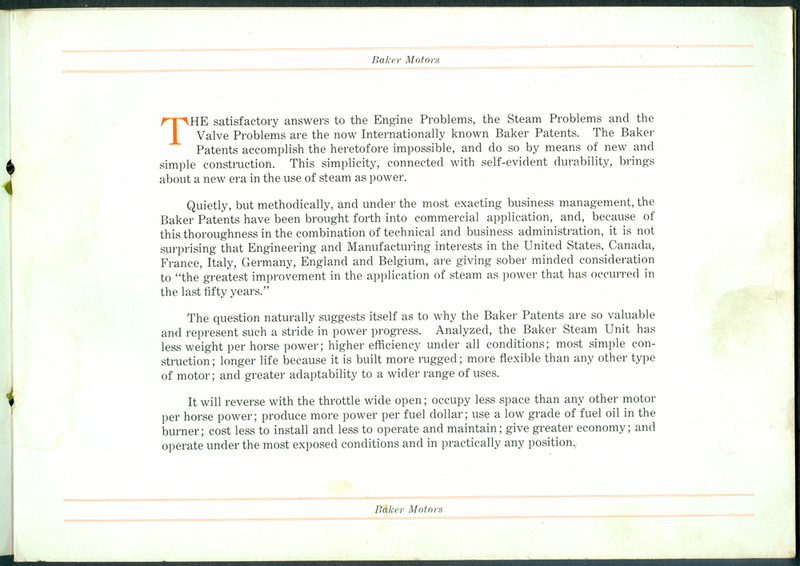 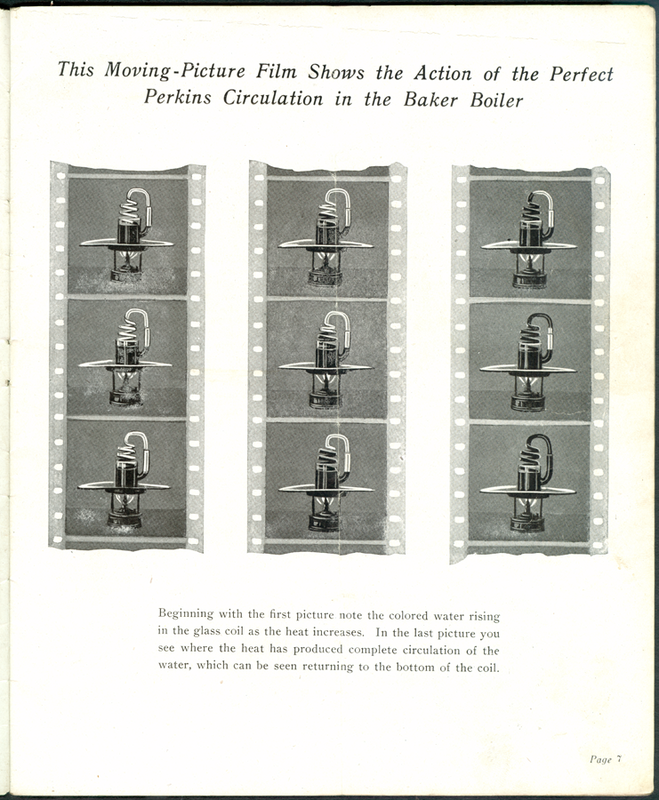 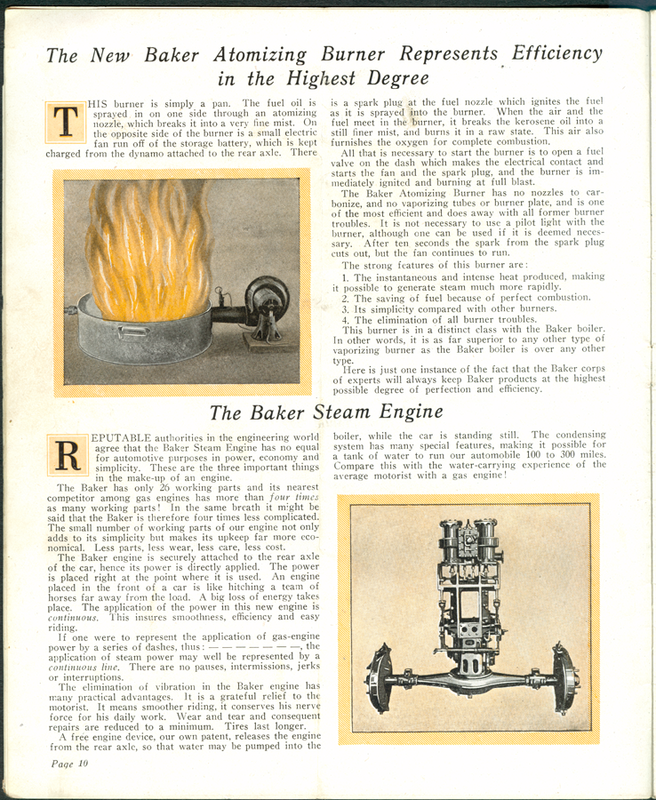 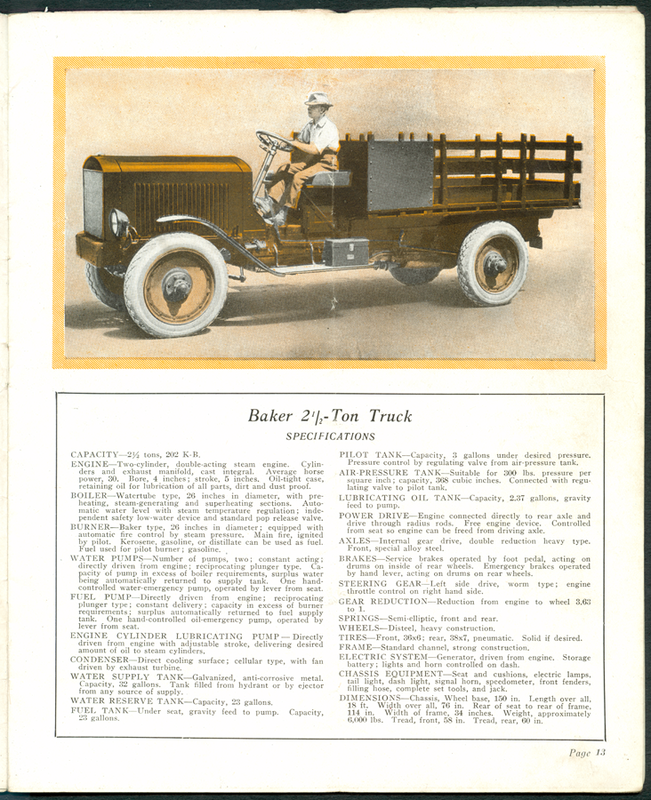 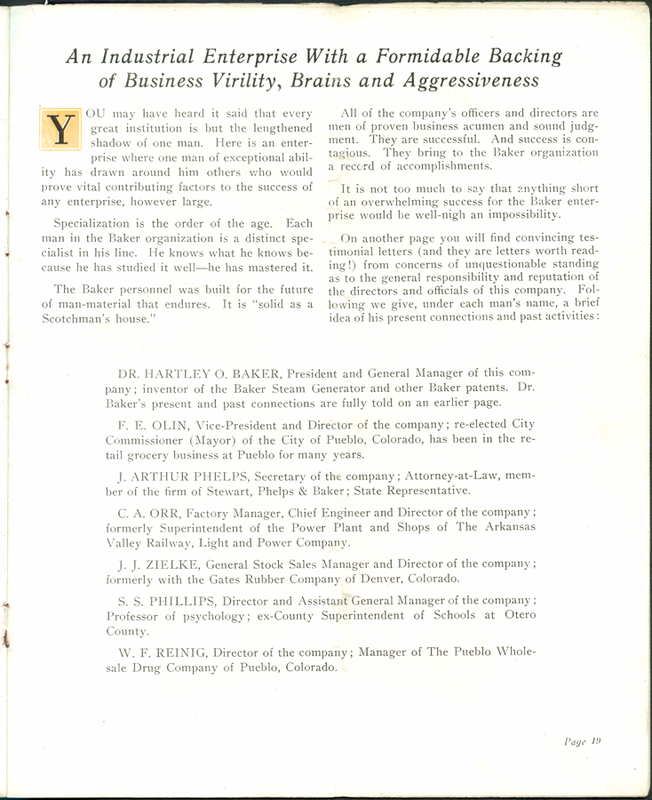 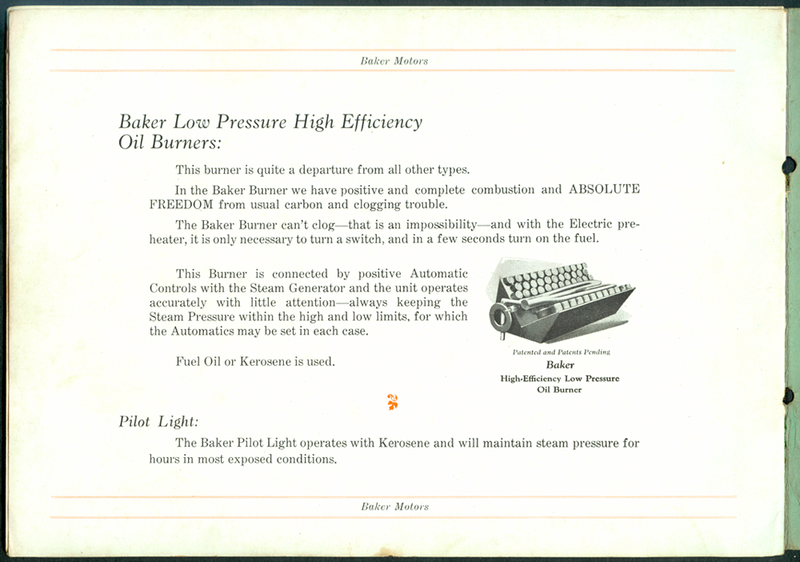 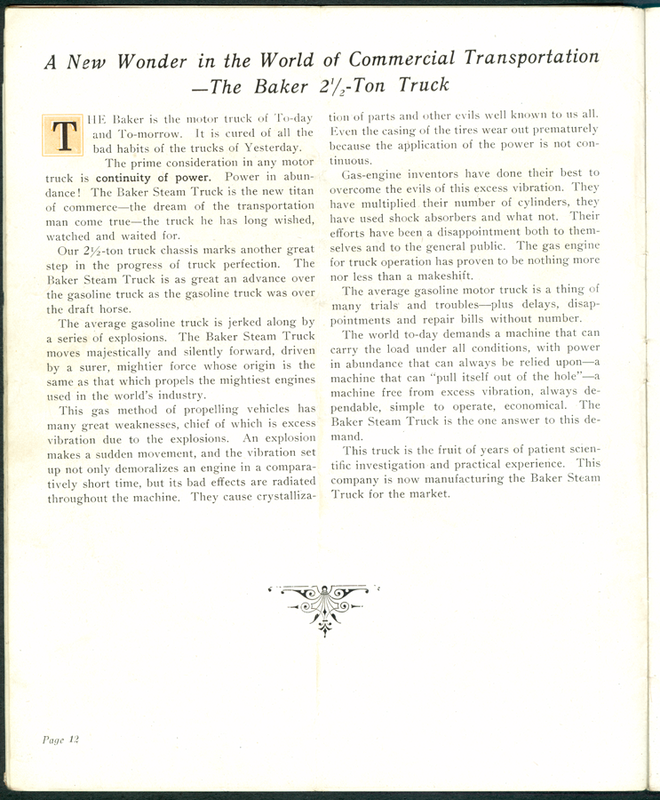 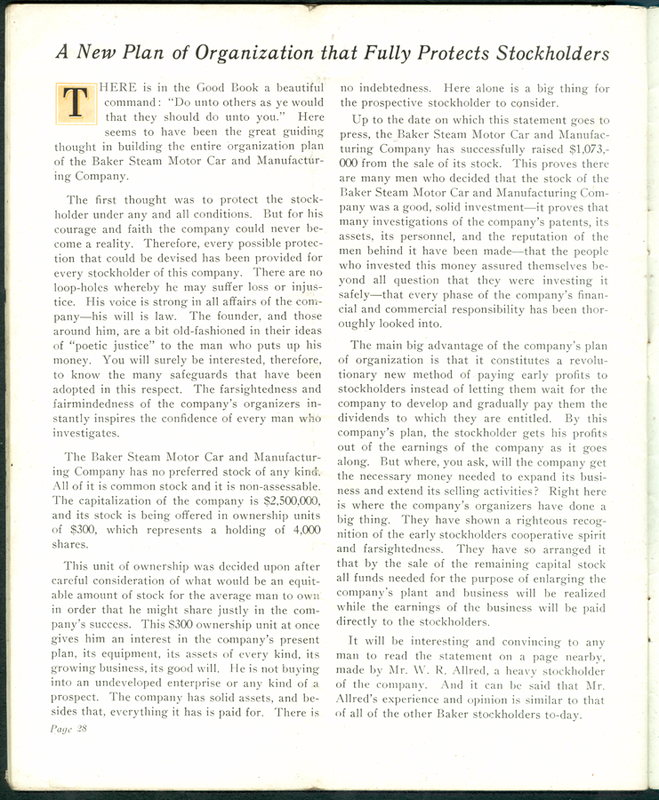 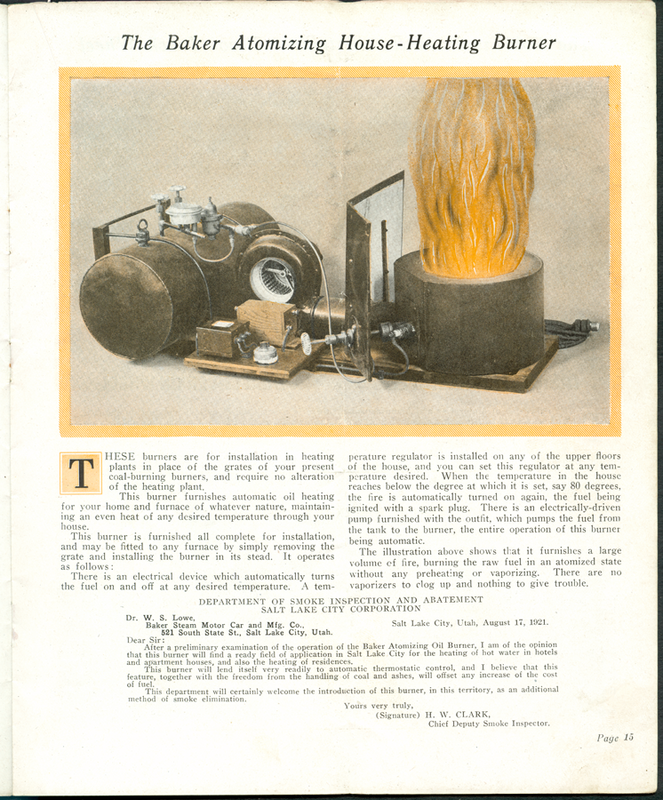 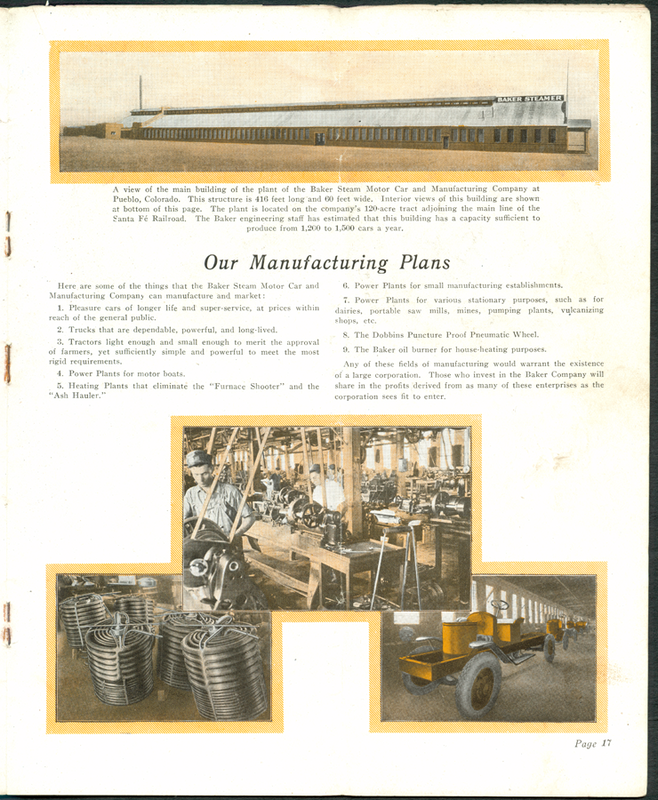 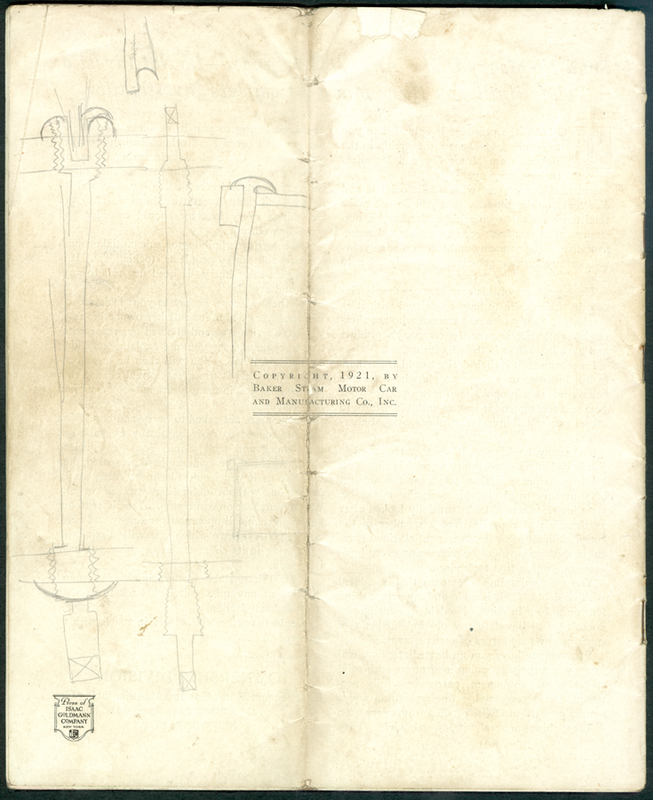 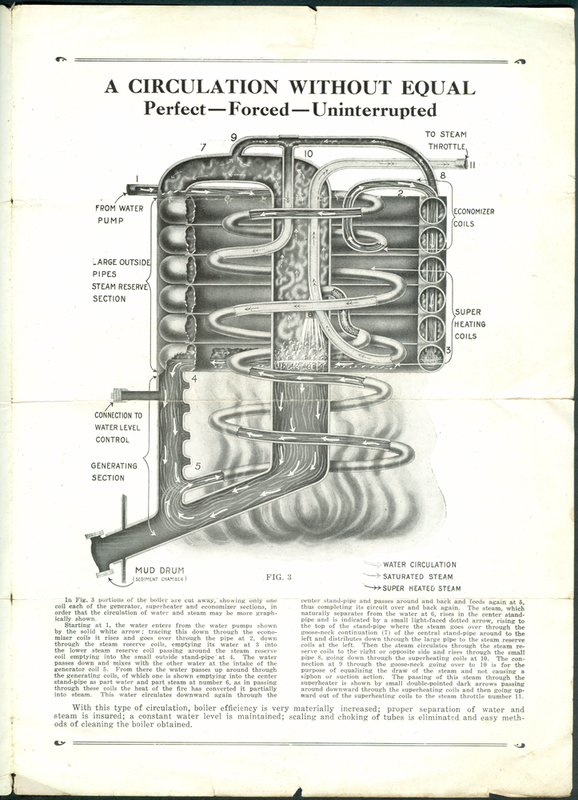 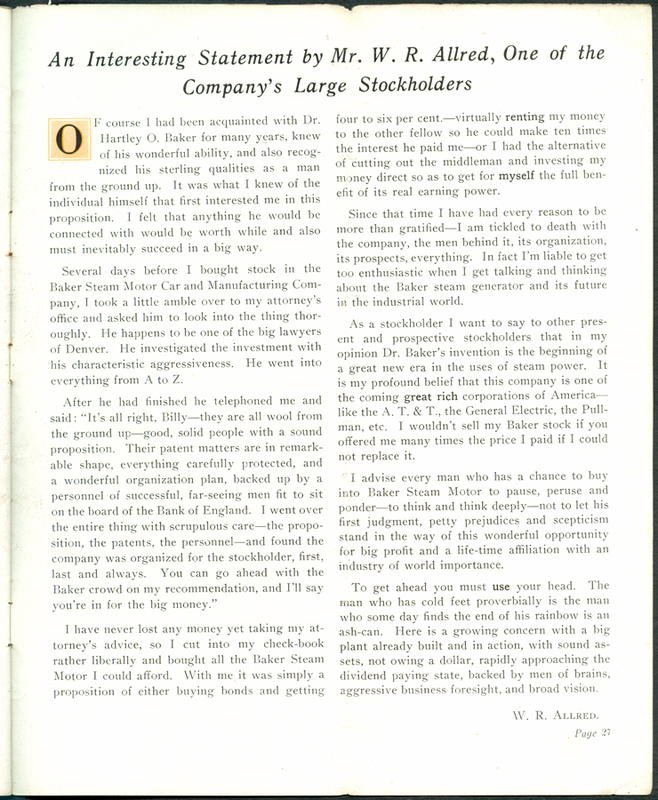 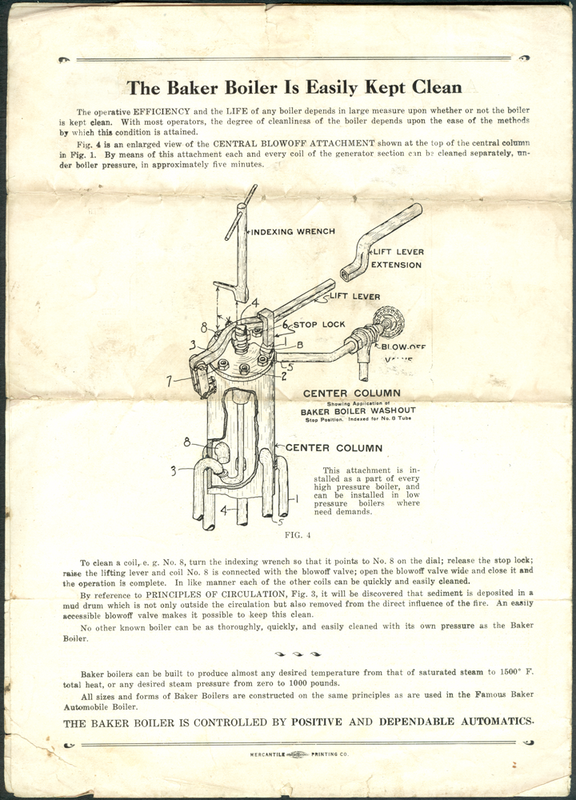 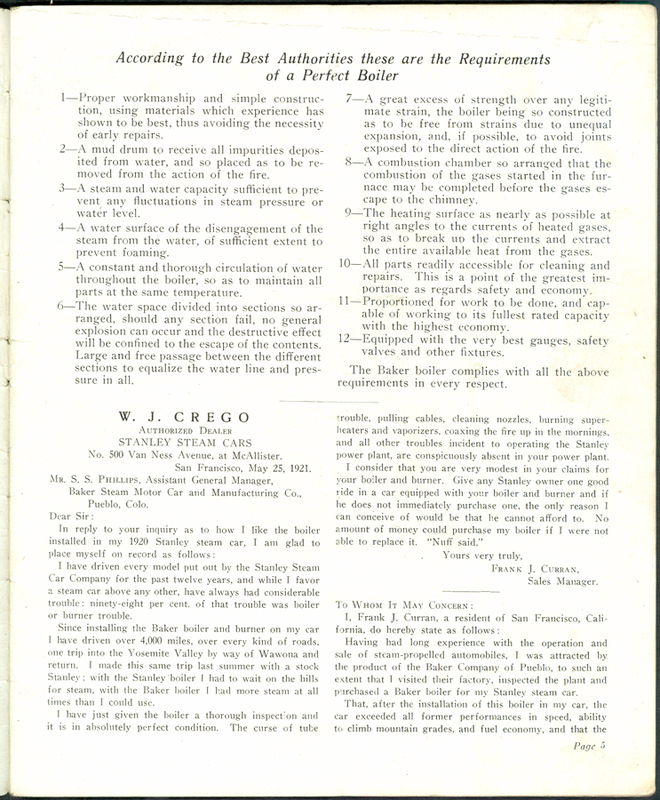 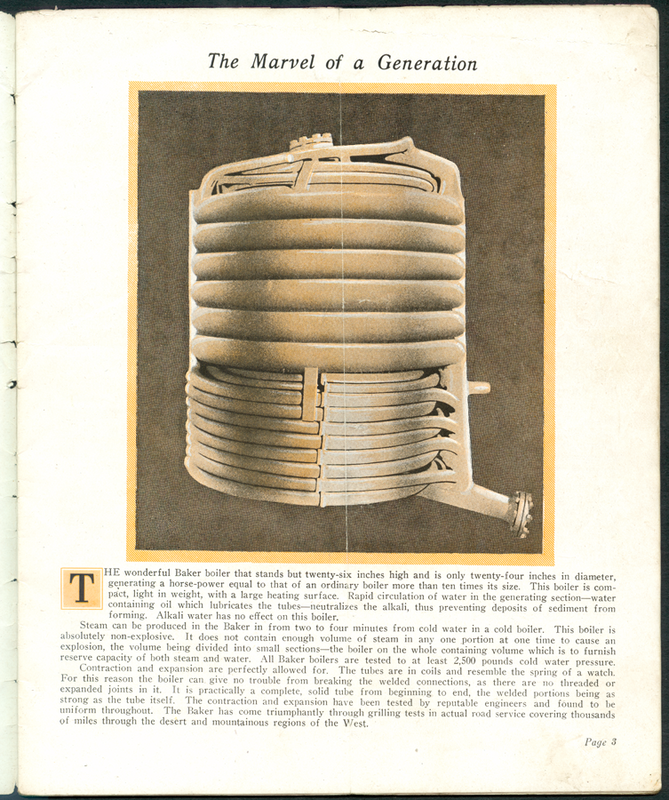 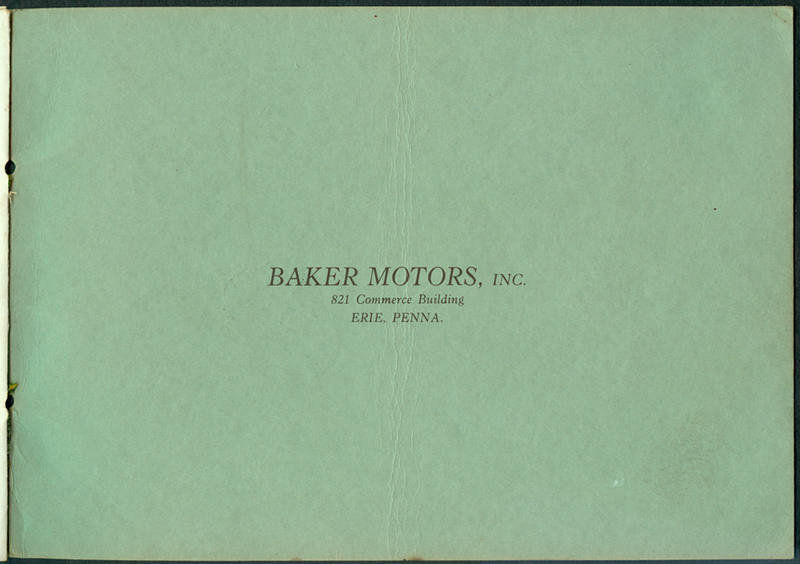 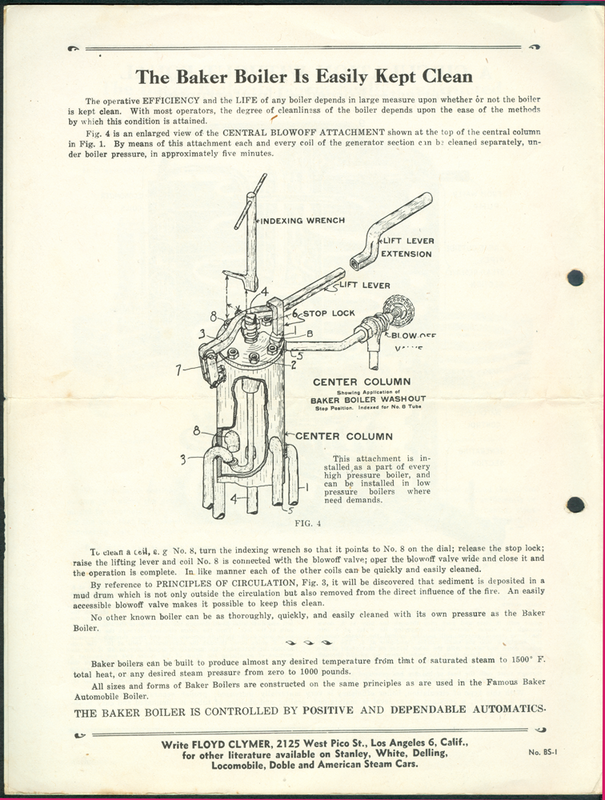 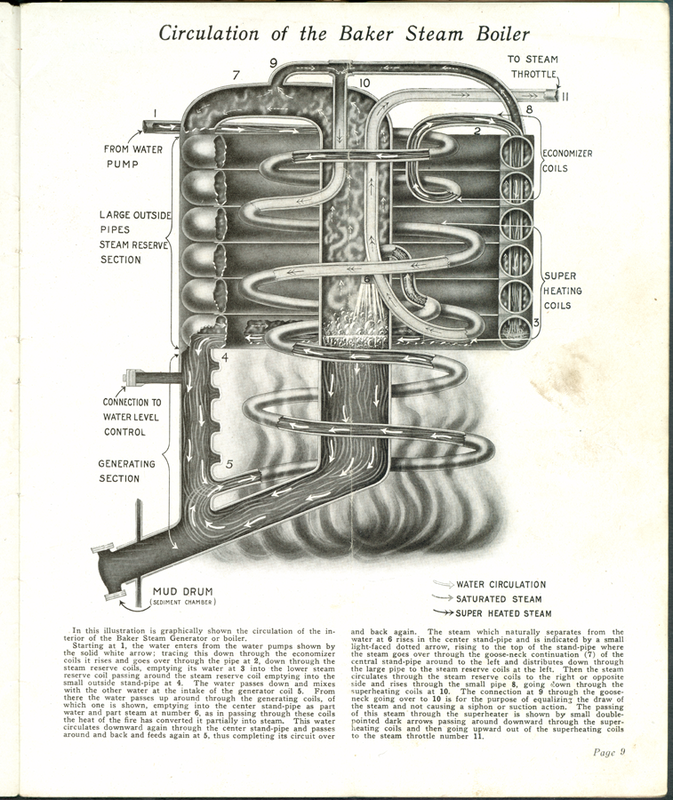 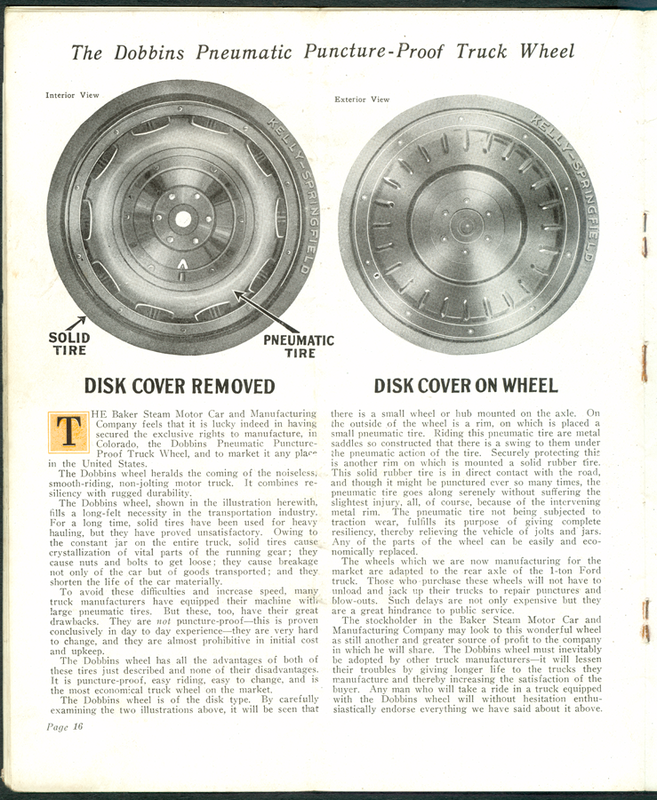 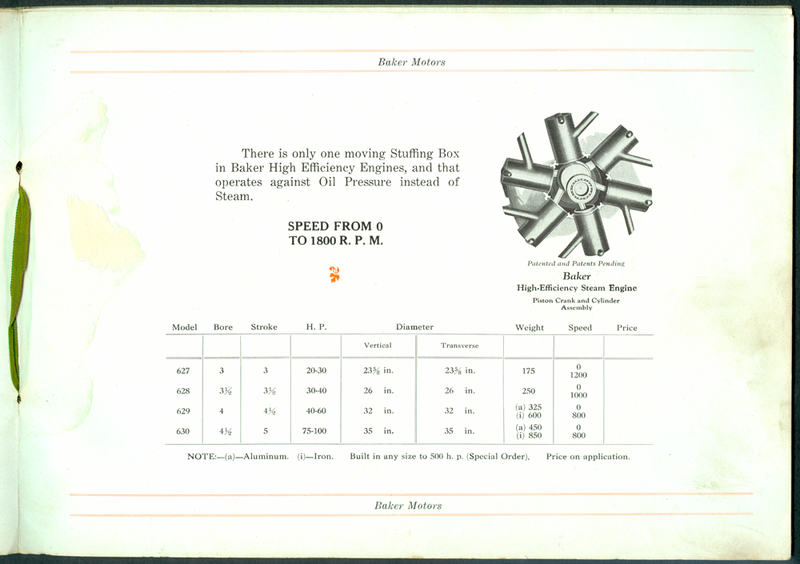 This Clymer reprint of the Baker Boiler Brochure was in the Stewart Archive. 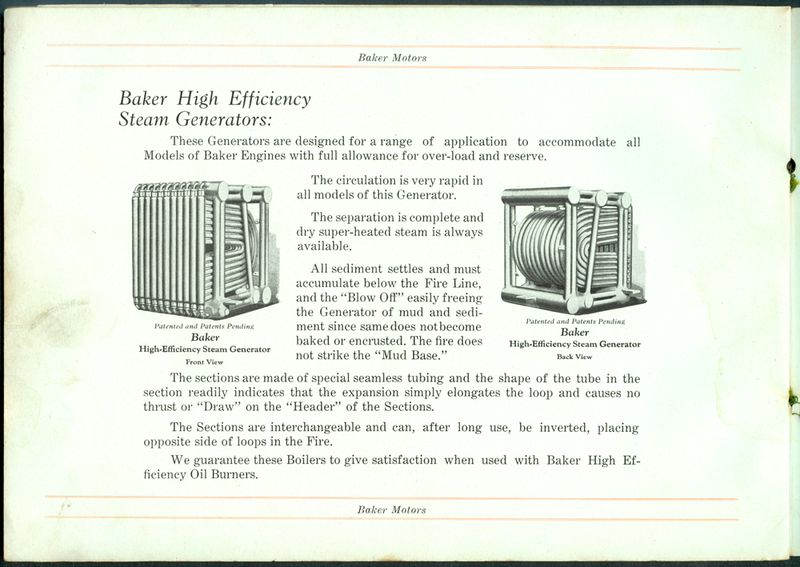 This brochure promotes the Baker Steam Unit and its suitability to many applications.